For all event formats, in a single location. This is how best to describe the FIERGS Events Center, a venue that caters to events of the most varied types and sizes. Offering clients a full spectrum of quality infrastructure, the FIERGS Events Center is a benchmark in Business Tourism in the state and rest of the nation. In numbers, the Center covers an area of 37,000 m2, shared by over 35 modular exposition areas – accommodating from 10 to 750 people –, a pavilion measuring 14,000 m2, a Theater that seats 1,750 people and, lastly, an outdoor area that can be used for parking as many as 3,100 vehicles, or alternatively be used for outdoor events. The FIERGS Events Center is also favored geographically. Located 12 km from Salgado Filho International Airport and just 15 km from downtown Porto Alegre, a city strategically located along the Mercosur axis and close to major neighboring urban centers such as Buenos Aires, Montevideo and Santiago. Regarding national capitals, it is around a 1h30min flight from both São Paulo and Rio de Janeiro. Besides its advantageous location, the FIERGS Events Center is capable of hosting events of all types and formats, such as: congresses, business events, trade fairs, performances and concerts, ranging from small, medium to large. What is your event? FIERGS Events Center, for all events, in one place! 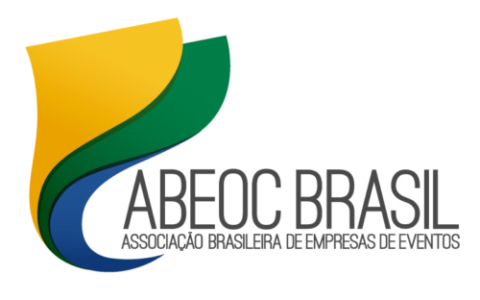 With a nationwide scope and representatives all over Latin America, the ABEOC (Brazilian Association of Event Organizers) has member companies throughout Brazil. 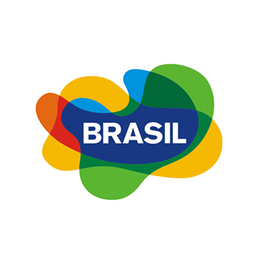 Abeoc Brasil has a permanent seat on the CNC Tourism Board, Embratur and is part of COCAL – Confederation of Latin American Congress Organizing Entities and Related Activities. 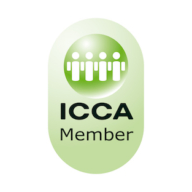 ICCA - International Congress & Convention Association brings together the world's leading specialists in the business tourism productive chain, featuring tourism agencies, CONVENTION BUREAUS, event organizers, hotels, airlines and convention & expo centers. Its members include over 850 companies from 80 countries. Brazil: the perfect combination of business and leisure! Brazil has been gaining international acclaim in the field of business and travel incentive tourism, promoted by major companies around the world. It has become of the most popular venues for hosting trade fairs, congresses, conventions and expositions of all types and sizes. It is easy to understand why. Besides its excellent infrastructure for staging events, the country also offers the most varied options in cultural, natural and artistic leisure, combining business with pleasure. 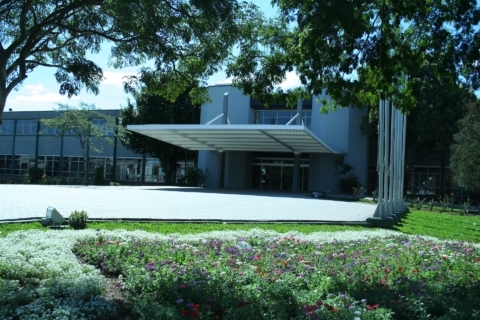 The POAC&VB is aimed at promoting the economic, social, artistic-cultural, scientific and technological development of Rio Grande do Sul, with a priority on Porto Alegre and the Metropolitan Region, employing planned and permanent Marketing and Public Relations strategies in attracting, generating and supporting events, striving continuously to increase the flow of tourists and enhance tourism infrastructure and services. This section covers the most frequently asked questions by users and clients of the FIERGS Events Center. Some of the responses may clear up your doubts. If not, please feel free to contact us for further clarification. How can tickets be purchased for shows? The FIERGS Events Center leases its facilities for staging events and also promotes specific cultural projects. As such, tickets are sold at points of sale determined by each producer, which varies from one event to another. To find out more, refer to the show information available in the Events Agenda link and check where to purchase your tickets. Are the elderly entitled to a discount for shows? Yes. People aged 60 and over are ensured this benefit by Law 10,741 (The Elderly Statute), chapter V – Concerning Education, Culture, Sport and Leisure, Art. 23: "The participation of the elderly in cultural and leisure activities will be provided through discounts of at least 50% (fifty percent) on tickets for artistic and cultural events and leisure activities, as well as preferential access to respective locations." To read Law no. 10,741, dated October 10, 2003, in full, access the Presidency of the Republic website. Are students eligible for half-priced entrance to shows? In some cases. Read more about Law 9,989, dated June 5, 2006: "Art. 1. Students regularly attending public or private, duly authorized education institutions, and youths aged up to 15 (fifteen) years old are entitled to a 50% discount on the effective rate charged for tickets to cultural and sporting activities, such as cinema, theater, musicals, circus, sports games and similar events in the city of Porto Alegre, according to this Law. Sole paragraph. With the exception of the following: I – cinema screenings on Saturdays and Sundays, days on which a 10% (ten percent) discount shall be granted on the effectively charged rate; II – theater, musical and dance performances with a maximum of 02 (two) presentation of the same show scheduled; III – theater, musical and dance performances on Fridays, Saturdays and Sundays, days on which a 10% (ten percent) discount shall be granted on the effectively charged rate;(...) Art. 2. This Law shall not apply in the case of tickets being offered with discount rate equal to or higher than 50% (fifty percent) of their regular price. Sole paragraph. In the case of discounts being offered that are less than 50% (fifty percent), the benefit of this Law may be applied in complement of the offered discount to the total of 50% (fifty percent) of their regular price. (...)" To read Law no. 9,989, dated June 5, 2006, in full, access the Official Gazette of Porto Alegre in the links area. Why is access to the Theater restricted once reaching capacity? For safety reasons and in compliance with the regulations of Complementary Laws no. 12/1975 and no. 226/1990 (Porto Alegre City Code). 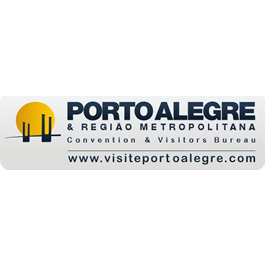 To read them in full, access the Porto Alegre City Council through the links area. Regarding objects lost within the FIERGS Events Center, what procedure should be taken for their recovery? It is important to take care that personal items are kept with you at all times. The FIERGS Events Center, as with any other public establishment, is in no way liable for loss or damage within its facilities. Once events have ended, the facilities are inspected and any objects occasionally found are handed over to administration, which keeps them in storage for up to 7 (seven) days. Following this period, the items are disposed of or donated to Social Banks. Documents are sent to the Brazilian Postal Service. Are fireworks and the release of balloons allowed in the area outside of the FIERGS Events Center? Authorization for fireworks or the release of balloons in open spaces requires the submission of the following documents: special authorization from the Arms, Ammunition and Explosives Division (DAME), telephone no. 51 3288-2174, Civil Police Inspection Service. Certificate of approval from the Military Brigade Fire Department, telephone no. 51 3288-3183, Civil Operation and Defense. As the FIERGS Events Center is located along a flight route, a proof of notification to the Aeronautical Department is of the utmost necessity, telephone no. 51 3371-3539, during the afternoon, or 51 3371-4011 in general. Fireworks are not allowed inside closed areas. Are the FIERGS Events Center facilities air-conditioned? Yes, including the Pavilion. The Ministry of Health provides recommendations regarding the environment temperature, as follows: "The recommended temperature range for internal conditions during summer should vary from 23ºC to 26ºC, with the exception of art environments, which should operate at between 21ºC and 23ºC. The maximum operating range should vary between 26.5ºC and 27ºC, with the exception of access areas which may operate at up to 28ºC. Range selection depends on the purpose and location of area. For internal conditions during winter, the recommended range of operation should vary between 20ºC and 22ºC." (Resolution no. 176, dated October 24, 2000). To read Resolution no. 176, dated October 24, 2000, in full, access the Ministry of Health in the links area. How can I reach the FIERGS Events Center? Access the How to Get There link on this website. You will find maps and information on public and selective transport options. Does the FIERGS Events Center have parking? The FIERGS Events Center leases its facilities for staging events and also promotes specific cultural projects. As such, tickets are sold at points of sale determined by each producer, which varies from one event to another. To find out more, Refer to theshow information available in the Events Agenda link and check where to purchase your tickets. Is smoking allowed within the FIERGS System facilities? According to Federal Law no. 9294, dated July 15, 1996 (Murad Law), smoking in closed areas is prohibited. "Art. 2. The use of cigarettes, cigarillos, cigars, pipes or any other type of smoking device, containing tobacco or otherwise, in collective spaces, whether public or private, except in an area aimed exclusively at this purpose, duly insulated and with suitable ventilation."